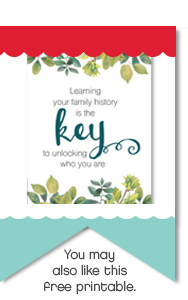 This is a great neighbor Christmas gift idea. 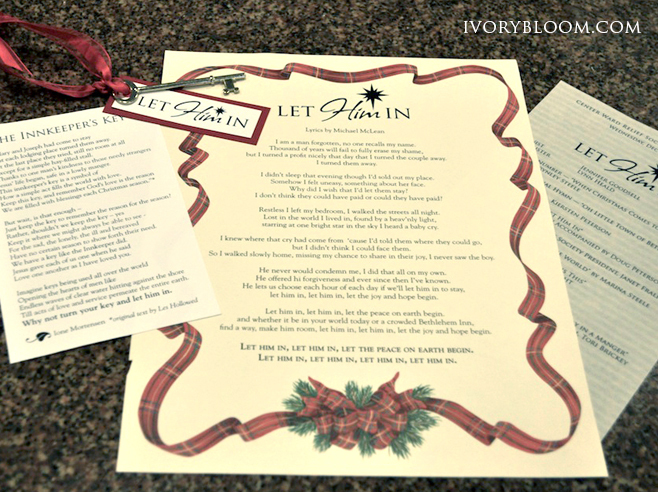 Use metal keys and attached a poem and tag to them. 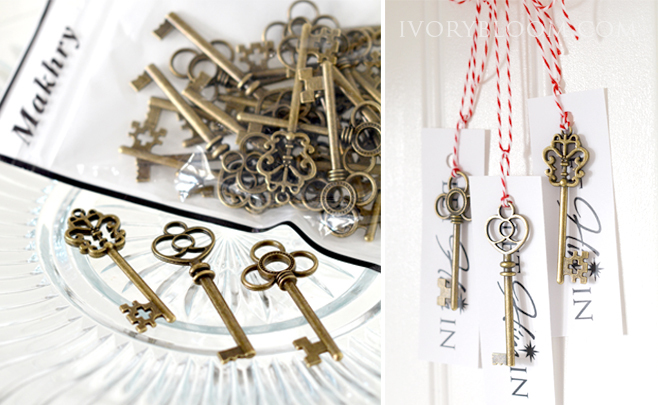 On Christmas Eve you hang your key outside your front door. 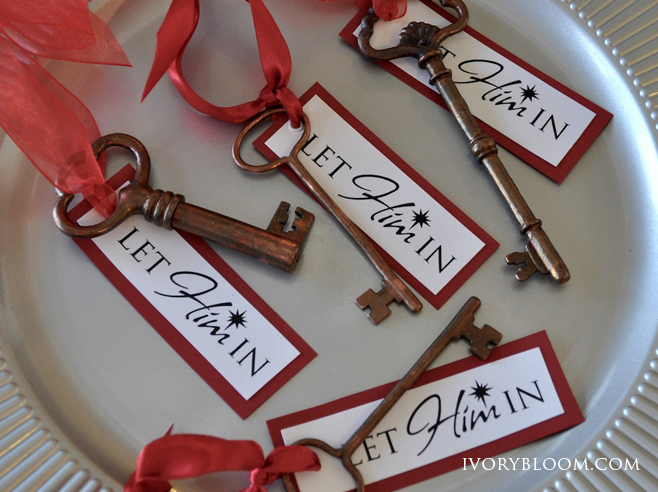 It is a symbol that you are inviting the Savior into your home on Christmas Day. But each lodging place turned them away. Except for a simple hay-filled stall. Jesus’ life began, safe in a lowly manger. 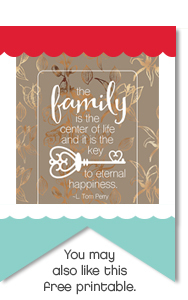 How a simple act fills the world with love. 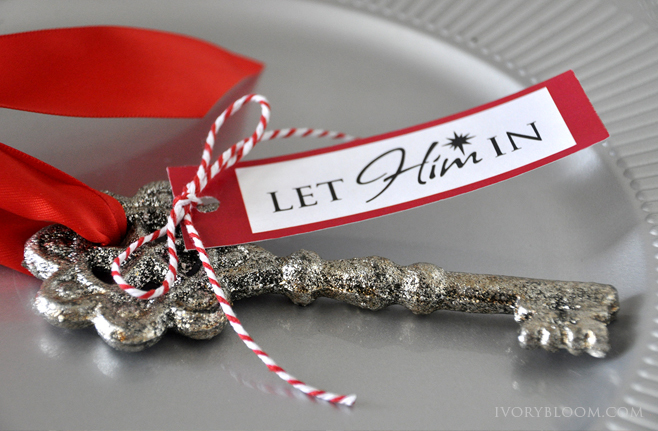 Just keep the key to remember the reason for the season? 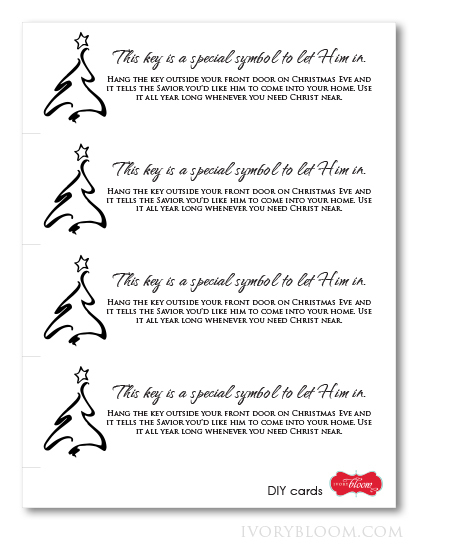 Have no certain season to show forth their need. 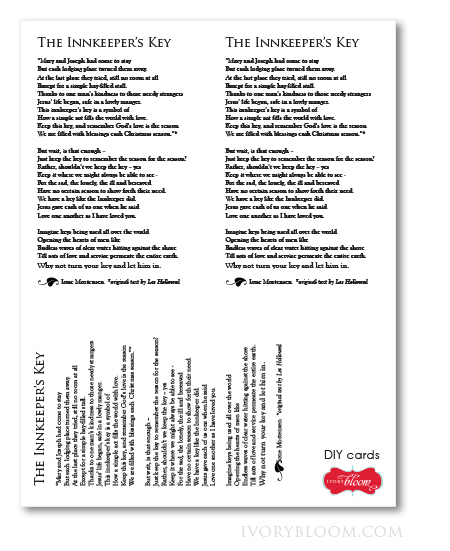 We have a key like the Innkeeper did. Till acts of love and service permeate the entire earth. 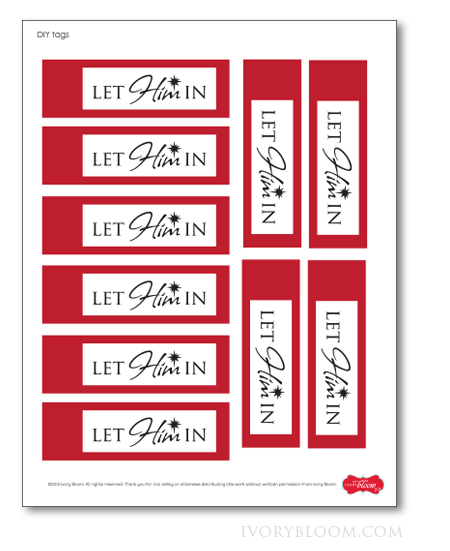 Why not turn your key and let him in. 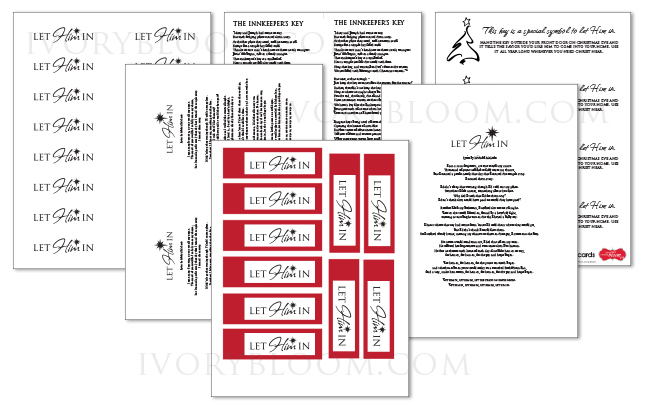 PDF includes all six printables: The Innkeeper's Key Poem, red Let Him In tags, white background Let Him In tags, lyrics to Let Him In music and the special symbol tag. We did a Christmas Program for the ladies at our church. 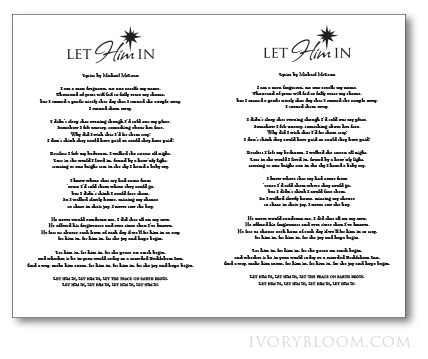 Each sister got a copy of the poem, the lyrics to the song "Let Him In" by Michael McLean and a brass key.